I hate to say it but, after 5 straight years of attending FYF Fest in Downtown LA, I'm going to have to pass on FYF Fest 2015. 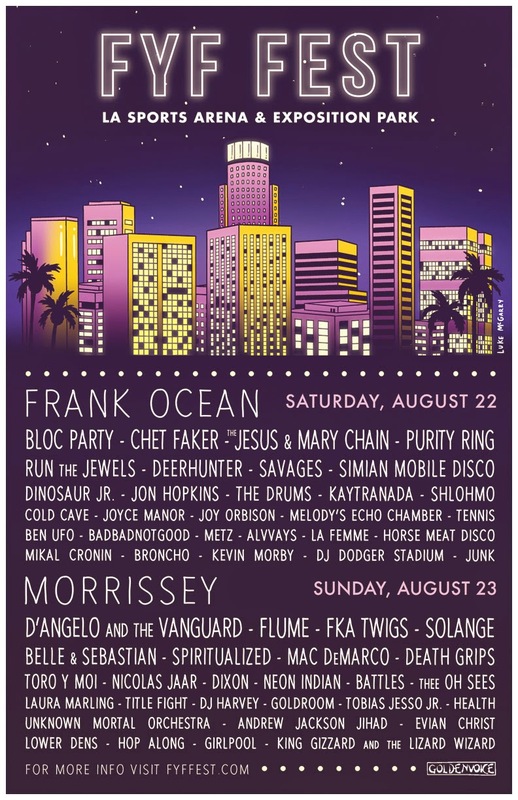 Despite there being plenty of artists I'd happily see, they're pretty much all FYF repeats, including several artists who JUST played FYF 2014, &/or artists I've already seen multiple times. I'm significantly more stoked on Modest Mouse playing Hollywood Forever Cemetery on Friday 8/21 (which was also just announced this morning) than I am on 2 full days of FYF. Tickets for Modest Mouse go on sale Friday 5/8 at 12pm PST. I hope the 2016 FYF Fest lineup interests me enough to go back next year but, for now, I'm gonna save my $175 (tix cost $129 last year, $99 in 2013 & only $77 in 2012!) 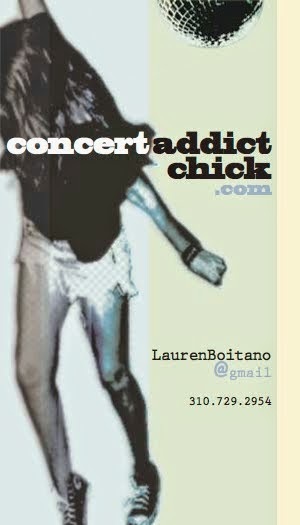 for the MANY concerts & festivals I'm attending this summer & fall. If AXS TV ends up streaming sets from FYF this year though, I'll happily watch Bloc Party, Frank Ocean, Chet Faker, Purity Ring, Run The Jewels, Deerhunter, Cold Cave, D'Angelo, Flume, Belle & Sebastian, Spiritualized, Toro y Moi, The Jesus & Mary Chain, FKA Twigs & Unknown Mortal Orchestra from the comfort of my couch!